Pilgrimage tour to India is one of the best way to see the Indian pilgrimage destination. Our pilgrimage tour will give you an opportunity to explore some revered spots which dots Indian landscape.The major pilgrimage sites of North India are - Badrinath, Gangotri, Bodhgaya, Vaishali, Golden Temple, Jama Masjid, Anandpur Sahib, Church of St. Francis of Assisi and many more. 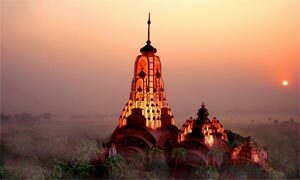 Your Indian pilgrimage tour would enable you to conquer some of the fascinating aspects of Indian pilgrimages. We have listed some of the well known Indian pilgrimage tour packages which would make your travel a fascinating experience. The Earth is a home to a wide bouquet of religions that are strictly practiced by their devotees. With the increase in population, the religions are also increasing around the globe. The three major religions practiced all over the world include Christianity, Hinduism and Islam. Let?s throw some more floodlights on the term Hinduism. The term Hinduism refers to a religious custom, which originated in the subcontinent of India. Hinduism is also known as Sanatana Dharma in Sanskrit i.e. the eternal path. Hinduism is the oldest religion in the world, which is still practiced by people all over the globe. Hinduism is rated as the third largest religion in the world after Christianity and Islam. There are various sacred places of Hindus and thus people travel from far away to visit such places. The journey undertaken by such people is termed as Hindu pilgrimage. Hindus travel from far off places in order to visit the various Hindu sacred places. The pilgrimages undertaken by the Hindus are not easy as they require a lot of devotion and determination. All the Hindu pilgrimage spots have their own importance, which make them famous all over. India being the country, where Hinduism was founded has various Hindu pilgrimage spots. According to the ancient mythology, an individual by going on a pilgrimage can wash away all his sins and be free of them. Pilgrimages are mostly undertaken in groups in a certain part of the year. According to the customs of Hinduism, Char Dham is the chief pilgrimage circuit of the Hindus. 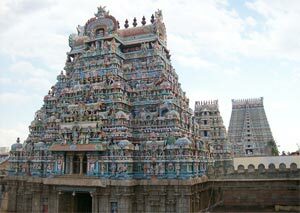 India is a preferred destination for Hindu Pilgrimage tour. Many pilgrim tourists from all over the world herd into the country finding destinations in the various places of worship in India. The land fascinates every tourist with every single pilgrim site offering a blessed destination for each one of them. A land of untravelled mysteries, a land which inculcates the ardent faith in you that's all India is all about. As you explore the various pilgrimages in India you will feel an essence of rejuvenation in your mind. From its intricately carved temples to the various holy Ghats you will discover that India is just the desired pilgrims spot for a religious tour you have always looked forward to. India is a holy land inhabited by people of various faith and religions. The country associates itself with an affluent historical as well as religious backdrop of Hinduism and other religions. There are various Hindu pilgrimages sites in every nook and corner of the country. However the North India pilgrimage sites are quite popular and frequently visited by world wide pilgrim tourists. 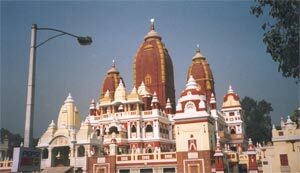 North India Pilgrimages are a blessed destination for every tourist. As you explore the various pilgrimages in North India you will find destinations in various holy sites which include Haridwar, Char Dham, Amarnath, Vaishno Devi, Rishikesh, Varanasi, Mathura, Vrindavan etc. Every pilgrim site has its own charms associating itself with various myths and beliefs. Rummage around in the various holy sites seeking the solace you have always yearned for.